GDROC always needs foster homes. The more foster homes we have, the more dogs we can help. You provide a temporary home while the Dane awaits placement. For more information on fostering, please see our guidelines and application. WOULD YOU LIKE TO ADOPT A GREAT DANE? Please take a look at our adoption information. You will find our adoption requirements, an online application and a list of the available dogs. You can help GDROC earn money for our fosters simply by starting at smile.amazon.com. 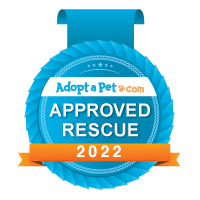 The rescue earns a percentage of items marked Amazon Smile Eligible and it costs you nothing! Simply select Great Dane Rescue of the Commonwealth as your charity of choice! You can also click the link below. Book your next pet-friendly vacation through Bring Fido and our rescue will earn $10 when you use the referral code. Great Dane Rescue will receive $10 each time someone uses this referral code (GDRC2019) in the gift code box at checkout and completes their stay. Click the logo below. While you are out walking your dog or playing Pokemon Go! you could be earning donations for rescue. Just download this app, select Great Dane Rescue of the Commonwealth as your rescue. Start the app each time you go for a walk, and GDROC periodically receives a donation based on the total number of miles walked by walkers supporting us. Every little bit helps! Visit Wooftrax.com for more information and to download the app. Tags for Hope - Keep your pets safe! Order your personalized tag from Tags for Hope and GDROC will receive a donation of 35% of your order. It's a great way to identify your dog and help rescue too! About Rover: Rover.com connects dog parents with a nationwide network of dog lovers for hire, offering in-home dog boarding, dog sitting, and dog walking. Rover.com’s “Sit a Dog, Save a Life™” lets you raise money for local dogs-in-need just by booking a dog sitter (instead of leaving him/her in a kennel)! Find a loving dog sitter in your city and help save lives. You book it, we earn something for rescue too! Looking for a healthy pet food option in the Hampton Roads area (Virginia)? The Petway has been open and delivering since 2007. GDROC is a 501c3, nonprofit organization in the state of Virginia. IRS TAX #20-2880407 To verify any nonprofit, you can visit Guidestar.